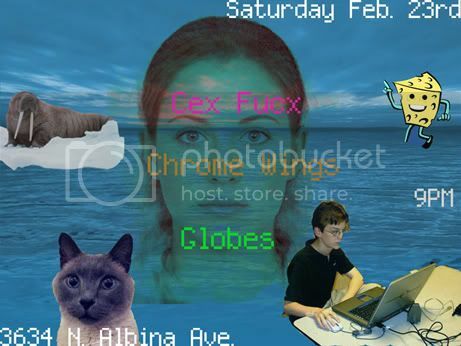 I'm now playing synth for local free-funk all-star dance band Cex Fucx, and we're playing a house show Saturday with Chrome Wings and Globes. You should go! This Saturday Feb 9th I'll be playing a solo piano show at Proper Eats Cafe and Market (8638 N Lombard St. Portland, OR 97230). Also on the bill will be fellow North Portlanders Hammer of Hathor (Mark Kaylor and Heather Vergotis). My set will consist of an early Charlemagne Palestine piece and a solo improvisation. The show is at 9pm and is free. I hope you decide to go!